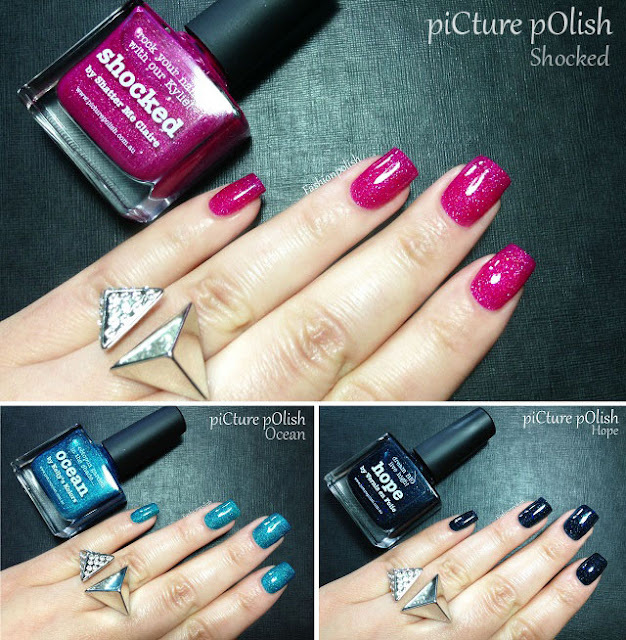 Fashion Polish: piCture pOlish new collaboration shades : Shocked, Ocean and Hope! piCture pOlish new collaboration shades : Shocked, Ocean and Hope! piCture pOlish has just released new collaboration shades!!! 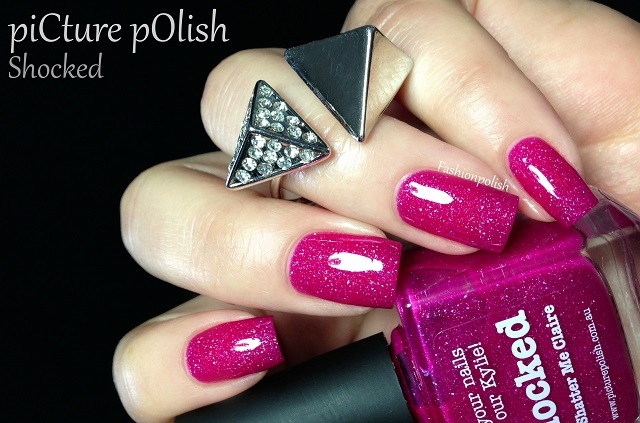 piCture pOlish Shocked is a beautiful bright blue base pink jelly infused with the PP signature scattered holo. I've said many times already that I'm not a pink person but this one's really stunning : not too girly, super glossy and of course enlightened by holo particles. Formula was flawless and although I found Shocked to be on the sheer side, I decided to skip a third coat by using two even, self-leveling coats in the swatches below. 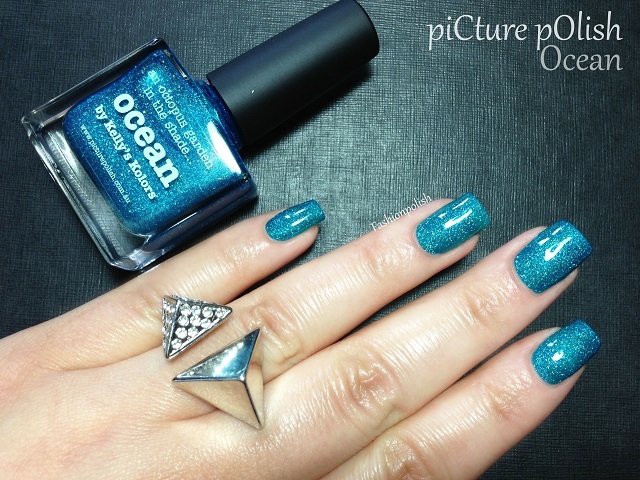 piCture pOlish Ocean is a vibrant turquoise jelly scattered with thin holographic particles. I absolutely love this shade! Formula was, again, a pleasure to work with, slightly sheer and lighter on the nails than in the bottle but I didn't feel the need to apply a third coat. This is two coats plus topcoat. 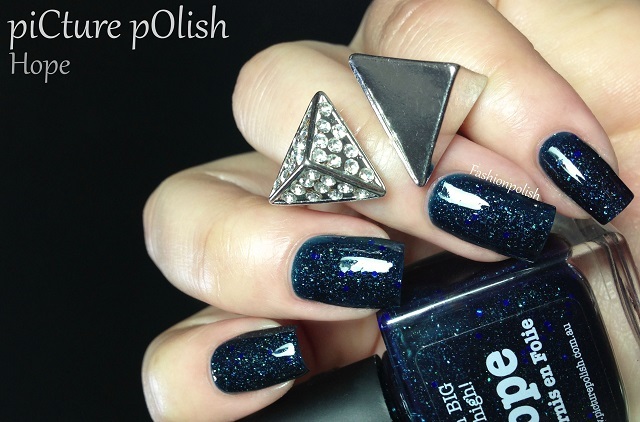 piCture pOlish Hope is a gorgeous teal jelly scattered holo with a touch of hex blue glitters. 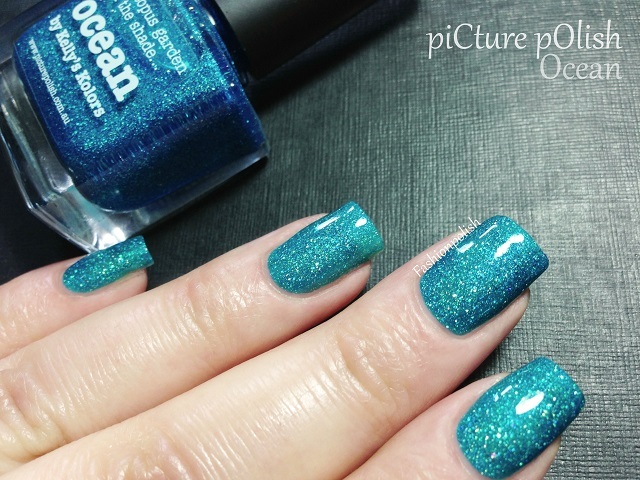 I was already sold at "teal" and "holo" but I really love the extra touch of glitters that completly sets it apart. More opaque but just as easy to work with as the previous shades, I used two coats plus topcoat. What do you think about these new collabs? Did you grab any of them yet? piCture pOlish collaboration shades can be purchased directly from piCture pOlish.com.au or through their international network. Oh wow, Sam! 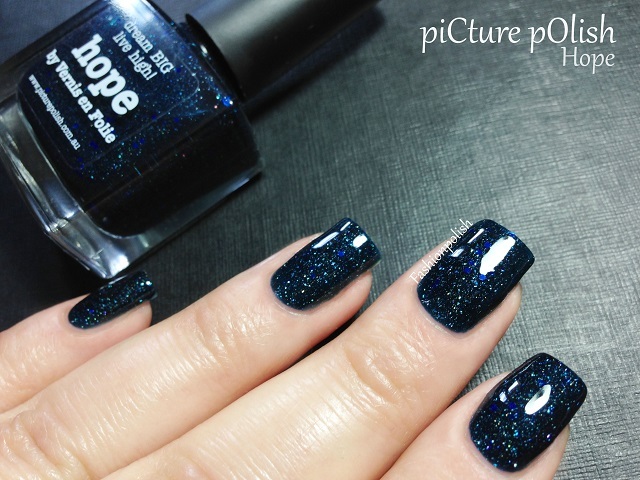 These are gorgeous :) I actually missed out on Hope and Ocean so waiting until they're back in stock so I can get my mum a bottle of Ocean :) She'd LOVE it. 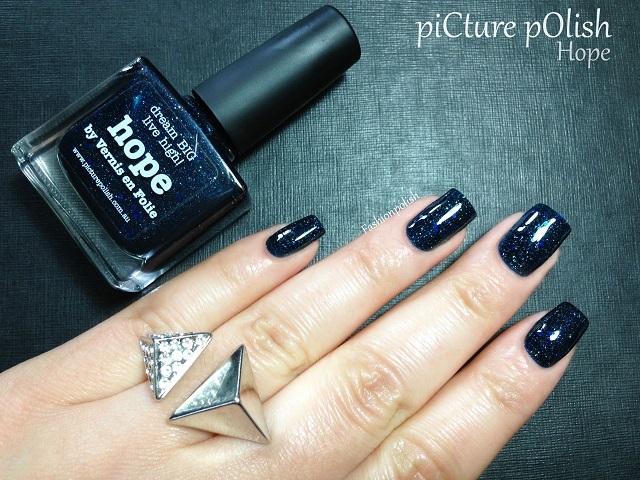 and Hope is calling out my name, as all the PP polishes do..
Whoa... 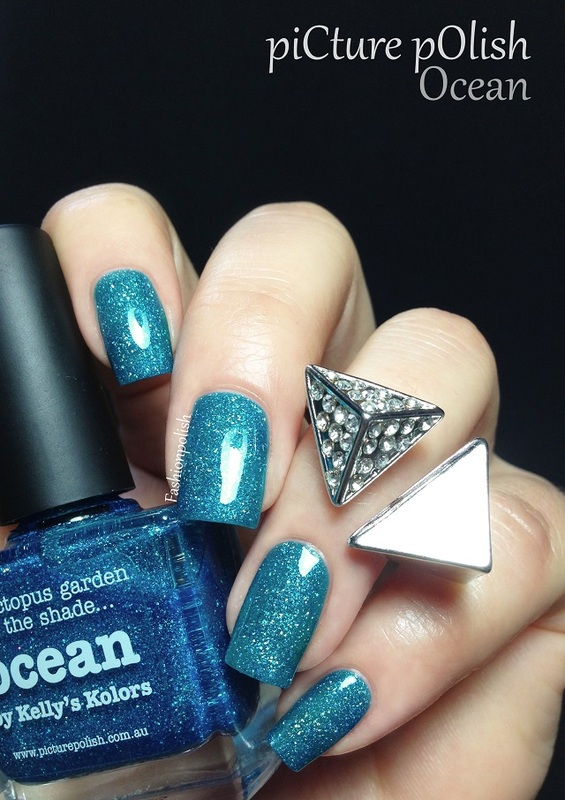 Ocean is to die for! What an interesting and gorgeous shade. They're all pretty but Hope is the stand-out for me! Wow, they are all gorgeous! I love them all!! They're gorgeous! I love all three of these and your swatches are so well done! WOW these are very special, you make them all look great! je vais finir par me laisser tenter par shocked ... et ptet bien par ocean aussi ... et puis c'est vrai que hope quoi, pfff JE LES VEUX TOUS ^^ magnifiques swatchs comme d'habitude, ta capacité à avoir des poses aussi régulières de tes mains me fascine ! Looks very expensive... Is it?